Ideal for: Couples looking for a luxurious adults-only resort that is close to shopping, excursions, and nightlife for your guests looking to have extra fun. We love Secrets Vallarta Bay because you will be pampered the moment you walk into this beautiful resort. When it comes to your destination wedding, you want to make sure that when you arrive, you are in good hands, well the service at this particular resort is top-notch. The rooms are spacious, and there are swim-out suites available that are close to the beach. What we also love about this resort is they have regular activities, a great tennis court with lessons if you need it, and it’s very quiet. 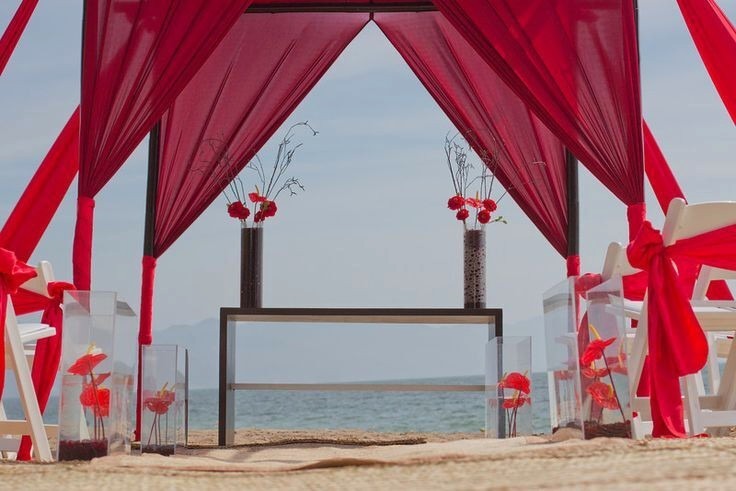 When it comes to booking your destination wedding at a chain like Secrets, you know that you are going to everything you need for your special day. Another great thing about this resort is its location in Puerto Vallarta. It’s less than 15-minutes away from the international airport, which is perfect for guests looking to not travel too far after their flight. Plus, it’s also less than 15-minutes away from the Malecon. The Malecon is a great area that has everything you need, a beach, shops, restaurants, and spectacular nightlife.